. 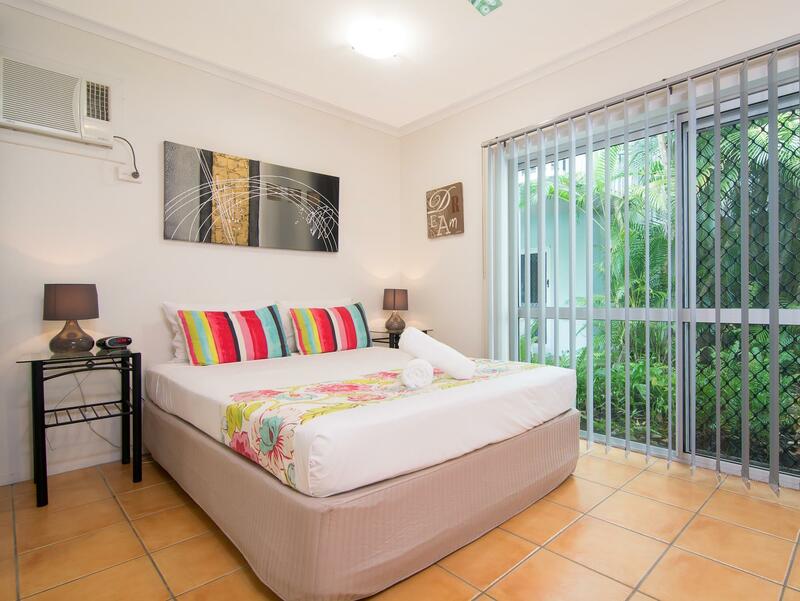 كما يقدم Port Douglas Outrigger Holiday Apartments الكثير من الخدمات لإغناء رحلتك في بورت دوجلاس. يمكن للنزلاء الاستمتاع بالميزات التالية: واي فاي مجاني في جميع الغرف, خدمة حجز التذاكر, تخزين الأمتعة, واي فاي في المناطق العامة, صف السيارات أثناء إقامتهم في هذا المكان الرائع. ادخل إلى واحدة من الغرف 17 وتخلص من عناء نهار طويل بمساعدة مجموعة كبيرة من الخدمات كمثل تلفزيون بشاشة مسطحة, رف للملابس, بياضات, صوفا, مناشف الموجودة في بعض الغرف. إن مسار جولف - ضمن 3 كم, حمام سباحة خارجي, حديقة هو المكان الأمثل في الفندق للاسترخاء وتفريغ طاقتك بعد نهار طويل. 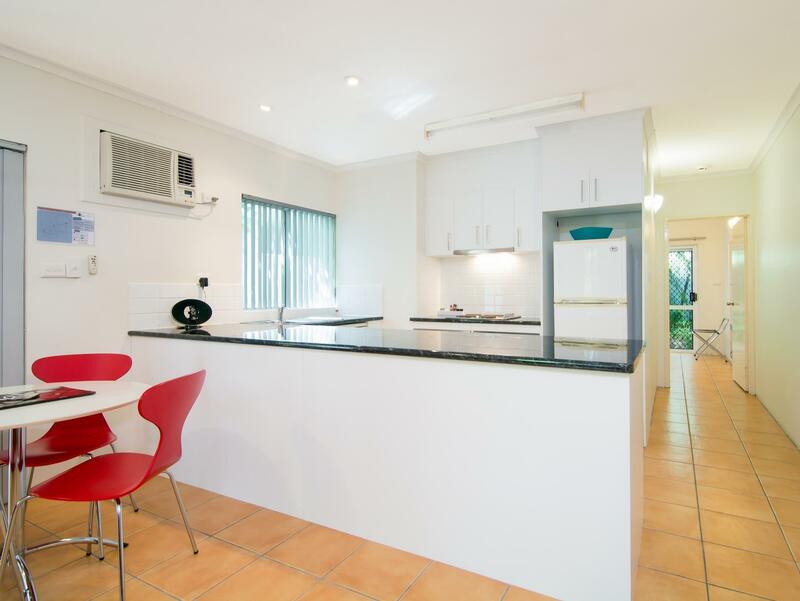 مهما كانت أسبابك لزيارة بورت دوجلاس، فإن Port Douglas Outrigger Holiday Apartments هو الخيار الأفضل لإقامة مثيرة وممتعة. we thoroughly enjoyed our stay at Outrigger. Amanda and Peter were excellent hosts, welcoming friendly and very accommodating. Lovely and friendly owners have kept the apartment tip-top clean and comfortable. The apartment was functional and comfortable for our family. We appreciate having the washer and dryer in the unit especially when traveling with young kids. However, we never got the welcome kit as promised. The old lady at the receptionist was rude. She even yelled at my kids when they were playing with the toys at the reception area. The old man was otherwise nice. The managers Amanda and Peter were very friendly and helpful. The gave us help with booking a tour to the reef and told of us other attractions in the area. The apartments are well located being walking distance to shops, beach and Marina and away from traffic noise of the Main Street. The pool area was lovely and relaxing. The pay it forward fridge was a fantastic idea. Very friendly & helpful managers/owners. 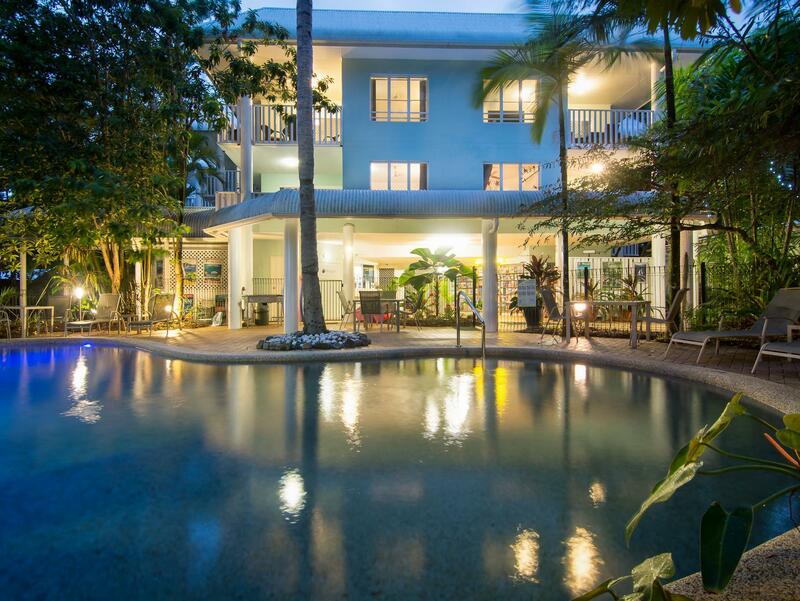 Beautiful pool & lovely unit with every thing you could want. Close to main st & shops & Four Mile Beach. I would definitely stay there again. Lovely stay, clean tidy accomodation/ facilities with extremely friendly staff. Close walk to macrossan street, yet far enough away too for quiet relaxation time. Would happily recommend.. Great stay with two young kids. It was nice enough for a night's rest. Much needed to break our trip. Staff/owners were very friendly but food was only so-so. Enjoyable trip. Good day out on the reef. Good value for money although I didn't feel it lived up to the outstanding review I had read. Decent quality accomodation in a good location for a good price. Pleasant stay. Close to restaurants and ferry terminal. Good thank you very much...is this enough writing now? I wish that they did not use the leaf blower at 9 am in the morning. Pros: Neat apartment with well equipped kitchen. Washing machine & dryer is available. Cons: There is no elevator. So it's not convenient for elderlies, infant/toddlers and if you come with many luggages. The pool was advertised as heated swimming pool, which wasn't when we used it. 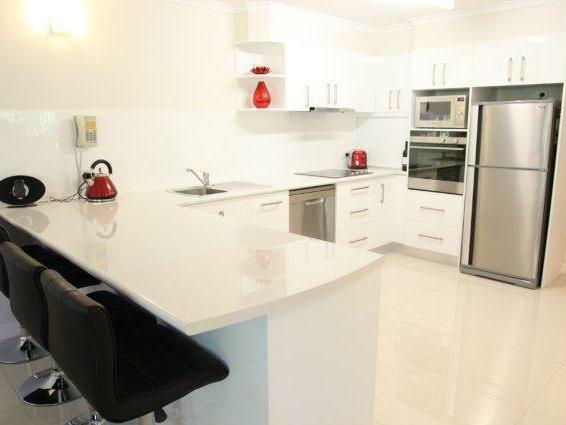 2 bed apartment was clean and quiet, equipped with everything you need. Short stroll into main shopping area. Owners were very friendly and welcoming we ended up staying an extra night! We stayed at the Outrigger Holiday Apartment for 9 nights. The location was perfect for us, it was within walking distance to the beach, wharf and shops. The apartment we stayed in was not the penthouse displayed on the website we realized this prior to arriving and were prepared. However we were not disappointed, the unit was excellent value for money. It was spacious, well equipped and clean.